Suicide is not a selfish act. It’s an act of desperation, pain & often compulsion, generally believing they are saving those around them from more suffering. The majority of those who have family or friends who have lost someone to suicide would agree. Having been friends with Kirsty since the age of 16 we had become closest in the last few years of her life. She had suffered with mental health illnesses such as depression & anxiety for many years. She took her own life in September 2016. Suicide has been legal since the Suicide Act in 1961, and although it is still often referred to as “committed” because it is no longer an offence, it should be recorded as “completed”. As someone who has not only felt at times suicidal & has lost her best friend to this devastating illness, I find it hard to hear when someone talks of it being selfish. I never considered that an “unwell me” was better than no me at all. Which I am now beginning to understand & learning to accept. I was never angry with her, but at myself for letting her down. Of course I felt anger, anger that her life would never be lived to its potential, anger that the system in this country let her & so many others down & anger that I can no longer see her smile. I was even angry with her sometimes, that she’d left me battling this same fight alone, I worried that if she couldn’t cope, then I wouldn’t. However I know she only wanted to relieve people & never to hurt anyone. Statistics here show that females are less likely than men to commit suicide. I struggle with this statistic as something banded about commonly. I don’t believe mental health illness, depression & suicidal thoughts differentiates between genders. But I do believe that women are more likely to seek help earlier, like with other conditions such as cancer. The focus should be on men seeking help for all health conditions, if health is going to be health. I also believe strongly that mental health illness is a serious as any other long-term & or terminal illness, yet however much it’s discussed in the press, there is not the same resources. When you have a physical injury you attend A&E & a process follows. If you have a terminal illness, of which I have lost my mum & father-in-law to cancer, a timely treatment plan is put into place with a range of treatments & regular check-ups, in most cases with cancer, forever. For mental health I can only speak of my own experience, but 25 years of being “in the system”, 3 suicide attempts & a million medications I am still on a waiting list for another 18 months for therapy, having never been offered any in the quarter of a century I have struggled. I was finally “diagnosed” at the beginning of this year, which allowed me to be added to the waiting list. Most of the time I fight, but other days, I simply think “I can’t carry on like this for another day, let alone another year or more”. Our system lets us down. To me Suicide is seen so differently when someone has a painful terminal illness & yet, really if we’re going to start accepting mental health in-line with physical health then we need to start finding the same treatments. Centres such as A&E that we can attend when we mental health crisis point, rather than being pushed into a room, looked down on & made to feel like we would have been better not telling anyone about the overdoes or cuts. And next time we reach crisis, our brain is unwell, that’s the first thing that pops into our head when our inner voice tells us we’ve tried for the last time, just give up. And sometimes so many people say do. Not through selfishness, but through pain, desperation & a lack of support for something they have been encouraged to speak out about. We speak out, finally admitting to ourselves & others, but there’s not the resources or treatments available in this country to help. It’s not selfish is self-preservation gone wrong. The definition of selfish is “a person, action, or motive, lacking consideration for other people; concerned chiefly with one’s own personal profit or pleasure”. (Oxford dictionary). She wasn’t trying to gain profit or pleasure, but respite for herself & others. I genuinely felt like I was saving other people, that my family would have a better life without me & I believe Kirsty will have felt the same. As much as she wanted the suffering to stop, she would never have thought solely of herself. She’d have thought her friends & family needed saving, mental illness can twist & distort your thoughts so much so that you’re lying to yourself & you have no idea. Some speaking of it are referring to the devastation left behind, & it does, which I have first hand experience of. I still never saw her decision as selfish. To me it was the same as someone who had had enough of suffering with a terminal illness such & she could no longer bear the pain herself or the pain she thought she was inflicting on others. What I wish is that I could have told her, however much I worried for her, I wanted to see her every day for the rest of my life, but I also wouldn’t have wanted to continue watching her suffer, as that too would make me selfish as I’d be solely thinking of how it effected me. Her parents & I are involved in many events, fundraising & campaigns to highlight the issues, because it’s not about talking more about mental health anymore, were doing that, and the stigma is starting to fade, the real problem now is getting help to those who need it & in time. There are so many lives still hanging in the balance on whether they’ll get help in time or not. This is where the awareness & action really needs to take place. In conclusion of course I wish she was still here, I still wish we were having girly nights in, laughing & crying together & I’d do anything to bring her back. But she never acted selfishly, she was the most selfless person I ever met. She is now an angel, I am sure of that, watching over me during my recovery & being my inner cheerleader drowning out the annoying inner critic when he rears his head. Suicide is devastating & it effects everyone, but never think they just did it for them, they probably did it for everyone else which is the saddest thing & it’s my stopper every time when those distressing thoughts enter my mind. From the stats that I’ve seen, women are more likely to attempt suicide, but men are more likely to complete because they tend to use higher lethality means like firearms. And I completely agree, suicide is not a selfish act. This is such a brave and beautiful post and very thought provoking. When will people stop rating different illnesses on some sort of moral spectrum – cancer = you’re a brave hero, self harm = you’re selfish and a drain on the NHS. The human instinct is to fight for life at all costs so imagine how ill you have to feel to suicide. After I was hospitalised after a suicide attempt friends stopped speaking to me or telling me how selfish I was. My own mother told me I was stupid and selfish and that I’d go to hell. She sees a mental health crisis as ‘opting out of life’. I never share with her when I’m feeling particularly unwell. Thanks for sharing, your friend Kirsty sounds like a very brave and courageous lady to have battled for so long. My sister died of cancer in 2012 and I don’t define her by her illness and death so nor should we for those who just can’t see a way out of that dark place or don’t get the support and care that they need. ‘Who just can’t see their way out of that dark place’, perfectly described. It is not a selfish act. By the way Sarah, your friend Kirsty looks so nice, with a beautiful smile and a lovely humane, character with everything going het way. Just shows you how looks can be deceiving. So sorry for your loss but happy to have found your site. Thank you. 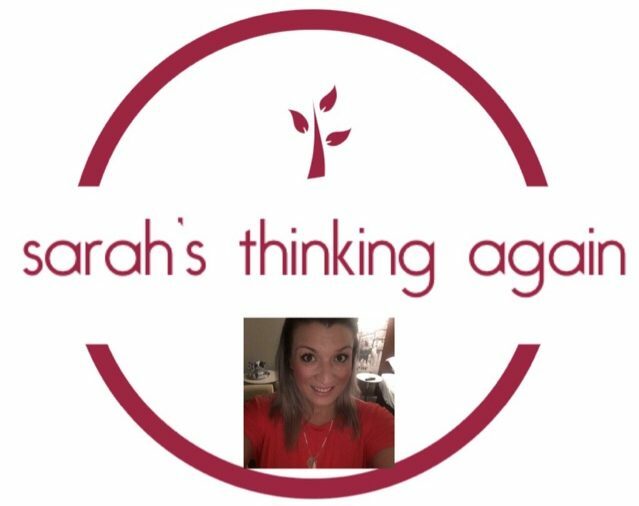 Wow sarah A Really Long Thought out blog So Much To Make us all think about when it comes to our own and others mental health we so need the stigma surrounding having a mental ilness needs to go…thank you for this truly amazing. sending hugs to you much respect. I believe suicide CAN be selfish — but that doesn’t mean that you’re a wicked or selfish person for opting to do this. What I mean by that is that people will do this knowing that this WILL cause grief — just as any other kind of dying (and, especially, dying too young). Even knowing this, they will choose this option because they have decided that their quality-of-life isn’t going to get any better and will, likely, get worse. There are teens and pre-teens, for example, who have decided that nobody is going to be able to make the real-life and/or virtual bullying stop, and they just don’t want to face it for another day. There have even been people who have taken others with them as a final act of revenge upon those who have caused their pain before completing their suicides. I’m thinking here of those involved in school shootings, workplace shootings, shootings in large areas, and the like. What I’ve written here is just scratching the surface, and I have plans to write on this more in the near future. But choosing the path of suicide isn’t unselfish, because it’s a form of self-medication for an emotional pain that seems to have no end, and people make this choice even when they know that it will cause others grief. But this doesn’t make them wicked or selfish people. It just means that they’re hurting; don’t see things getting much better (and, likely, seeing their overall future as being bleak even if they know they might be missing out on a bit of happiness here and there — equivalent to occasionally getting a crumb or two of food to make a microscopic dent in an overall state of starvation); and just want this intense pain to go away, even if they don’t believe in life-after-death, as their pain is so intense that they prefer not knowing anything to living in this type of awareness. In other words, people who choose suicide are ones who are hurting in some way and just want the pain to go away. They don’t deserve to be labeled as anything other than people who have decided that this is the only way out that seems to be right for them. I talked to a friend this morning who simply colors my world with beautiful colors just by being his precious self. He’s 71 and I’m 65, and he brings so much joy to so many people. In 1966, his 19 year old self didn’t believe that things would be getting much better in his life and would, likely, be getting worse. Fortunately, he was taken to the ER in time to save him from the drain cleaner he’d just swallowed. Thankfully, he survived a few other attempts to take his own life after that (by overdosing). This coming Saturday will find him taking part in a suicide prevention fair and walk-a-thon. Larry Van Ness (a.k.a. The CanMan) is a pillar of our community who inspires people of all ages to not give up on life, and we’re so blessed to have him. Back on that sad day in 1966, his 19 year old self had no idea of what lay ahead of him. Did you know that Dolly Parton came close to taking her life one day and had the idea that life could go on without her? What stopped her from going through with it was when her little dog came into the room and the thought occurred to her that she needed to stick around to be her dog’s Mommy. You sound like an awesome friend…… Sending hugs….